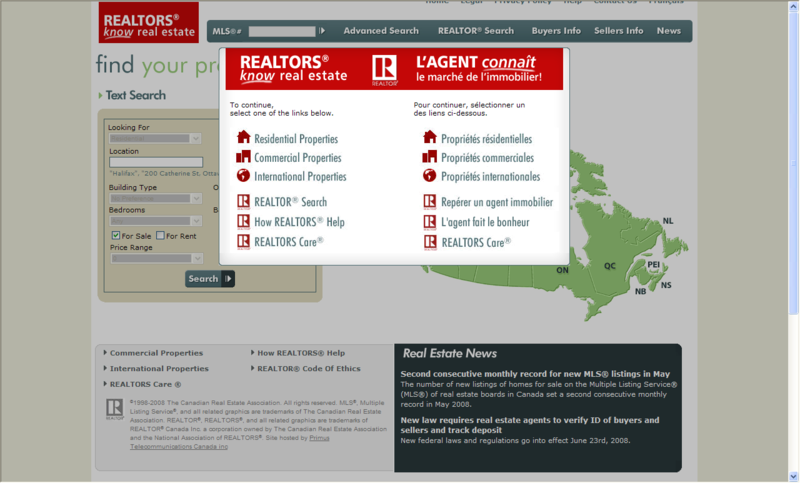 On July 2, 2008 the New REALTOR.ca was launched, consumers will find New interactive mapping and search Criteria. There were an Average of Nearly 3 Million Unique Visitors a month to mls.ca throughout 2007!. "80% of CREA members say www.mls.ca was their primary marketing tool for their MLS listings." The New mapping technology will be interactive from Microsoft Virtual Earth and Visitors will still be able to view MLS listings across the country and by using the interactive mapping, select the specific area or neighborhood they are interested in.